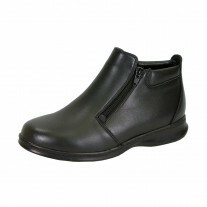 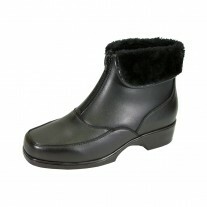 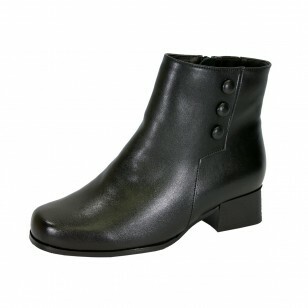 PEERAGE Page women's extra wide width full grain water-resistant leather booties have a 6 inch shaft height and an 11 inch shaft circumference. 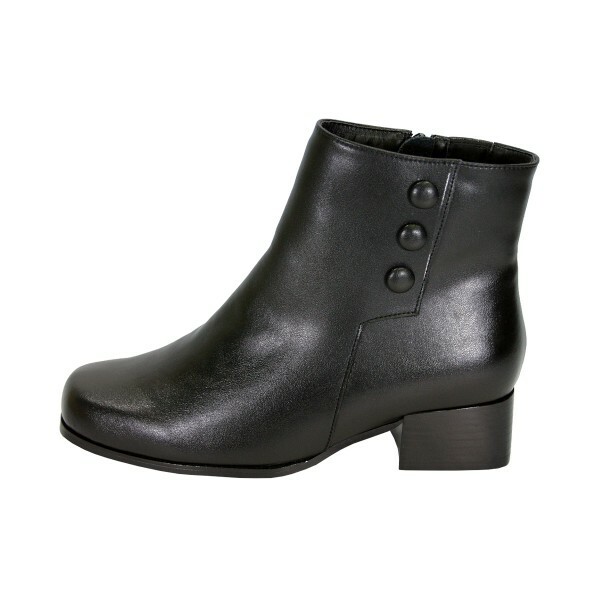 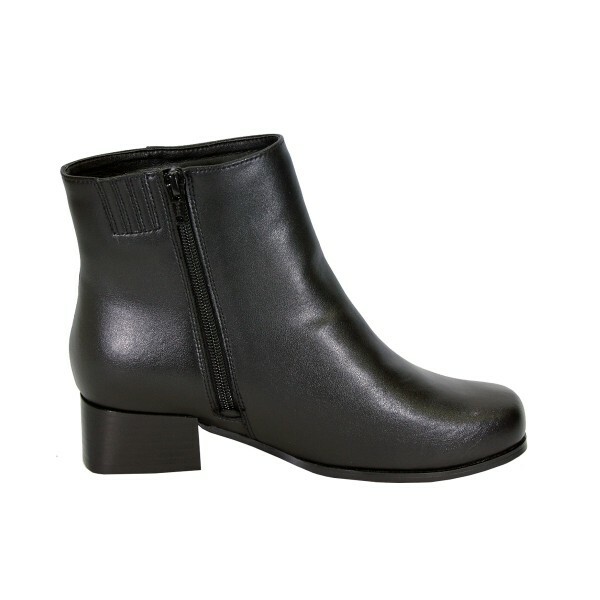 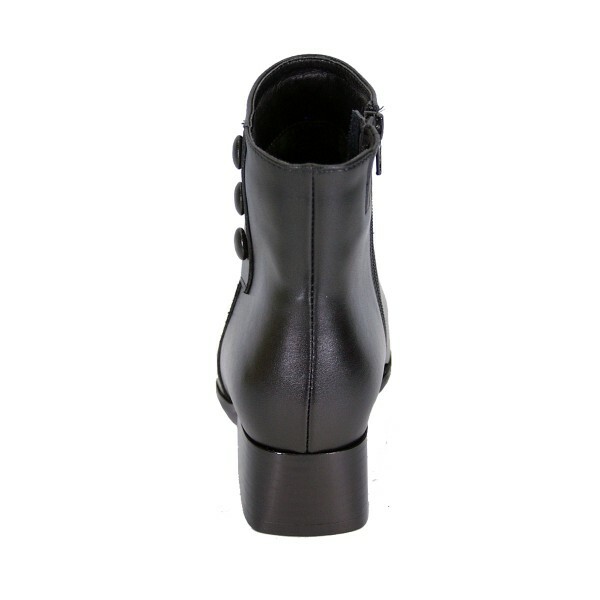 This ladies 1.5" leather block heel short bootie features an interior fleece lining, zipper closure, and a maximum traction rubber outsole, creating a sleek, sophisticated, and stylish look. 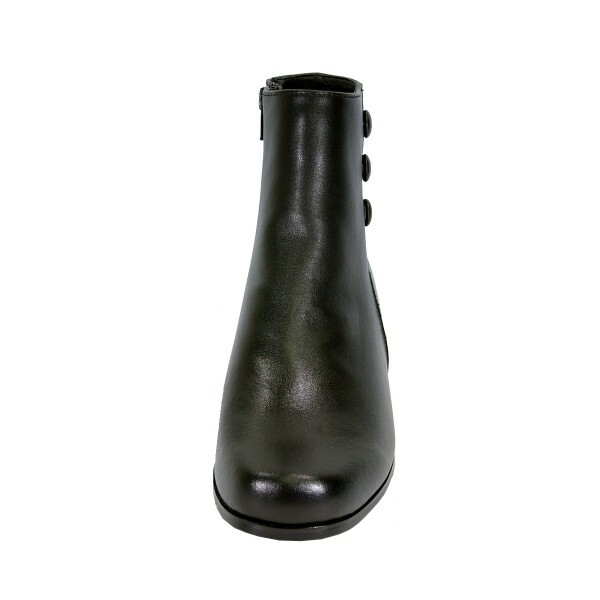 PEERAGE Page is the perfect choice for fading fall temperatures.